Based on its respected “Engineered in Germany” technology, innovation, and quality, Hanwha Q CELLS offers the full spectrum of photovoltaic products, applications, and solutions, from modules to kits to systems to large scale solar power plants. The combined company is also engaged in downstream development and EPC business. Through its growing global business network spanning Europe, North America, Asia, South America, Africa and the Middle East the company provides excellent services and long-term partnership to its customers in the utility, commercial, government and residential markets. 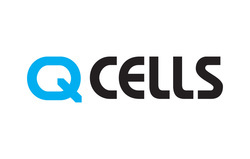 Hanwha Q CELLS is a flagship company of Hanwha Group, a FORTUNE® Global 500 firm and a Top-Ten business enterprise in South Korea. LG Electronics embarked on a solar energy research programme in 1985, using our vast experience in semi-conductors,chemistry and electronics. In 2010, LG Solar successfully released its first Mono X® series, and LG Solar modules are now available in 32 countries. In 2013 and 2015 the LG NeON™ range won the acclaimed Intersolar Award in Germany, which demonstrates LG Solar’s lead in innovation and commitment to the renewable energy industry. With over 300 lesser known brands panels selling in Australia, LG solar panels offer a peace of mind solution. *Please refer to individual warranty documents for full terms and conditions.